Swaps. Fun stuff! 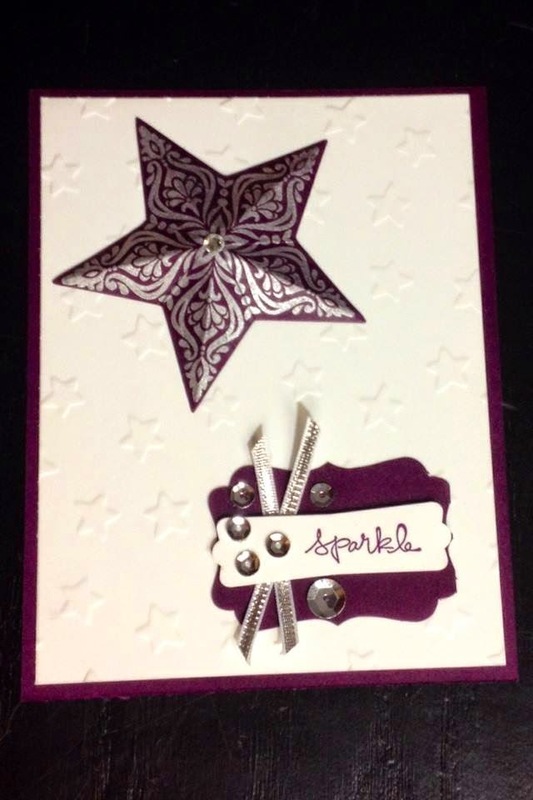 Its always nice to make a card you like, and then a couple more because you like it so much! 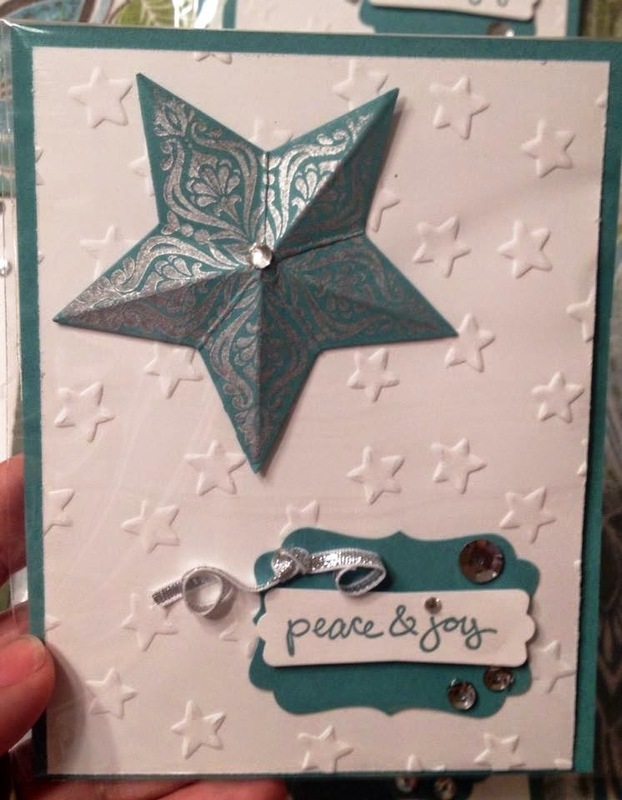 But when you need to make FIFTY cards for a swap, it can be a little overwhelming. 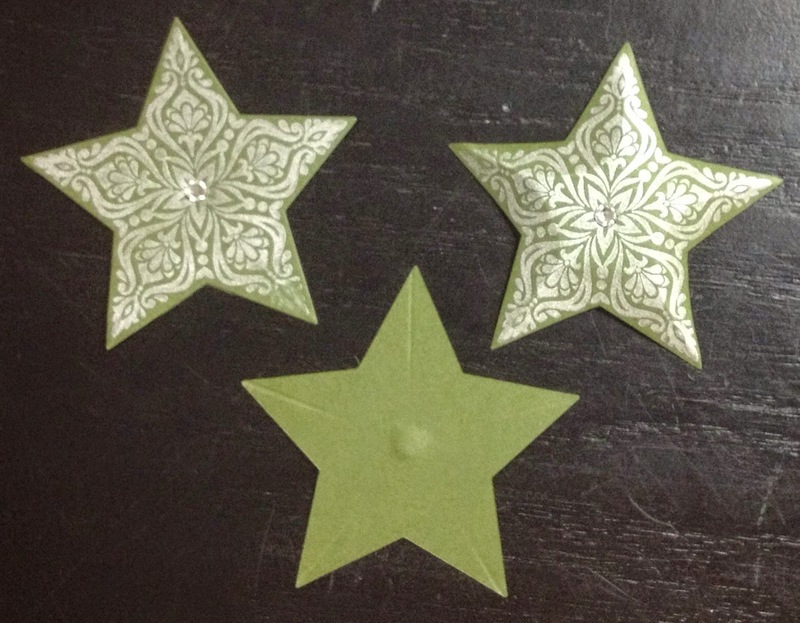 Luckily, I knew I had a busy week and I split my cardmaking up into small bites! 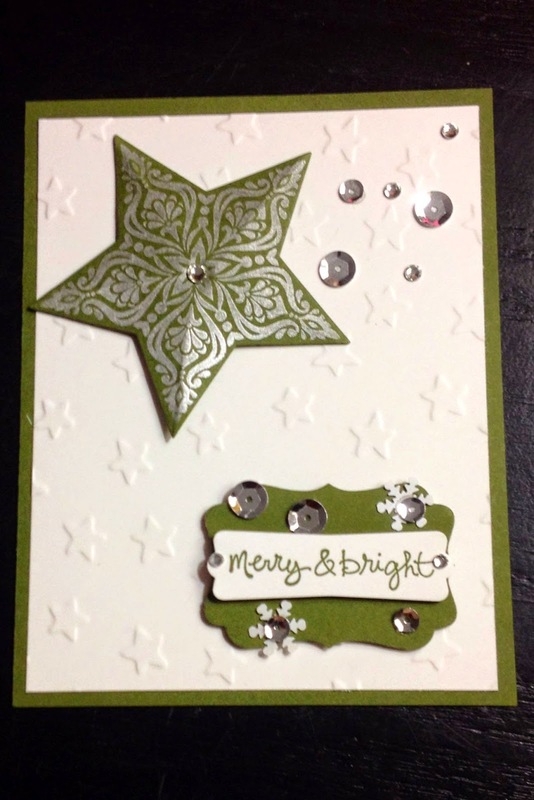 These are my swap cards, I did 20 of the Merry and Bright, and 10 each of the other 3 cards. The sentiments are from the stamp set Good Greetings - only available to party Hostesses for FREE with a qualifying party. I'd love to help you get this set - take a look at my post HERE and lets schedule something! 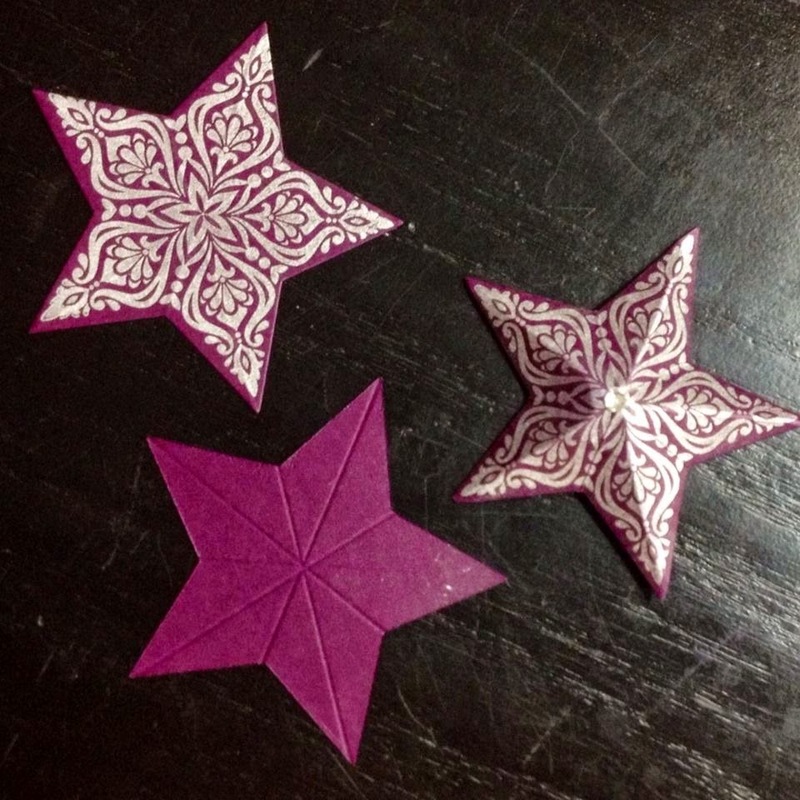 Soft 3D effect - score only the points of the star, gently fold the tips and the center will "puff"up. Crisp 3D effect - score from point tip to opposite edge, fold peaks on the points and valleys on the center edges. Really pinch the folds for a well defined look. 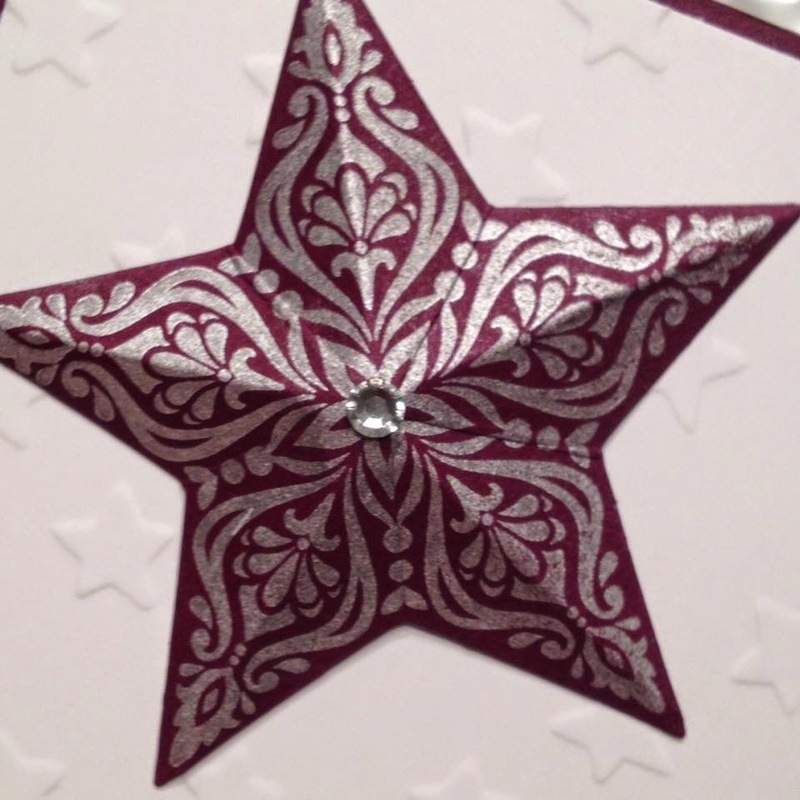 The cards all use the same elements with only a difference in the color and arrangement of the embellishments. This made it easy to assemble, and allowed me to have some variety in the monotony of making 50 cards. 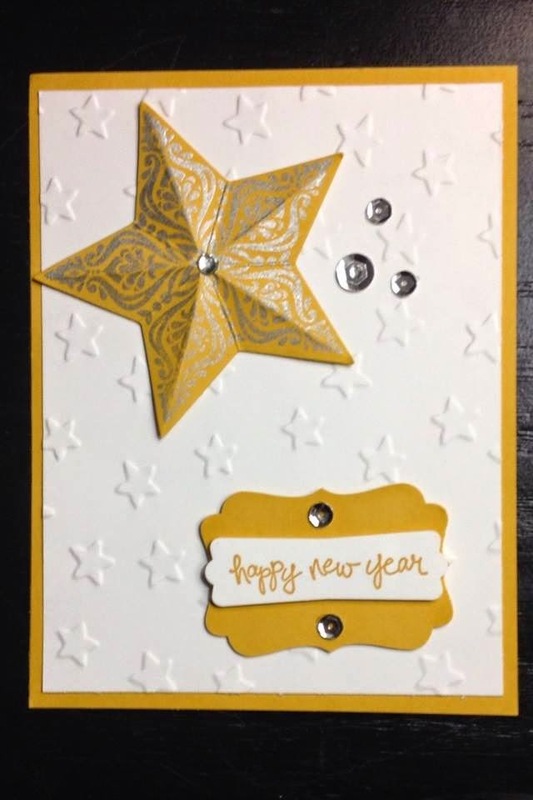 :-) I do like this card though, easy to make stuff you like! !